Multi-Purpose Cordless Drill Bit Set 5 Piece Sizes: 4, 5, 6, 8 and 10mm. 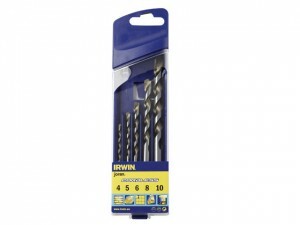 Irwin Multi-Purpose Cordless Drill Bit Set 5 Piece Sizes: 5, 5.5, 6, 8 and 10mm. 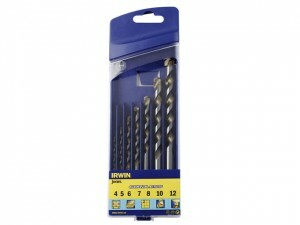 Irwin Multi-Purpose Cordless Drill Bit Set 7 Piece Sizes: 4, 5, 6, 7, 8, 10 and 12mm. 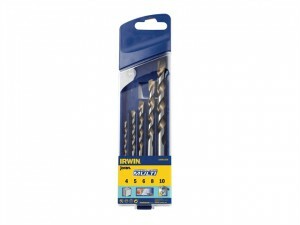 Irwin Speedhammer Plus Drill Bit.Specifications:Diameter: 3.5mmTotal length: 110mm.Working length: 50mm. 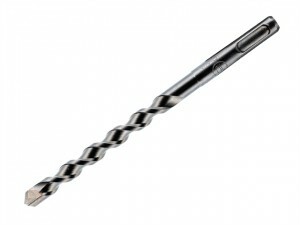 Irwin Speedhammer Plus Drill Bit.Specifications:Diameter: 4.0mmTotal length: 110mm.Working length: 50mm. 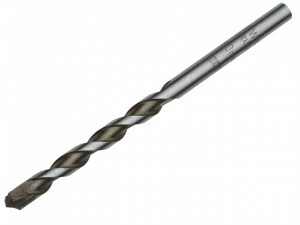 Irwin Speedhammer Plus Drill Bit. Specifications:Diameter: 4.0mmTotal length: 160mm.Working length: 100mm.